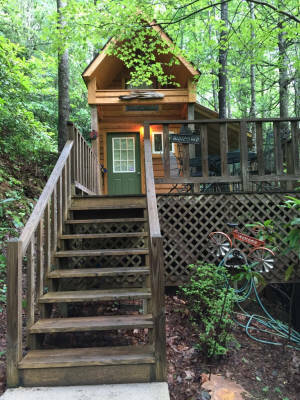 This cabin is available April 1 - October 31 Only! 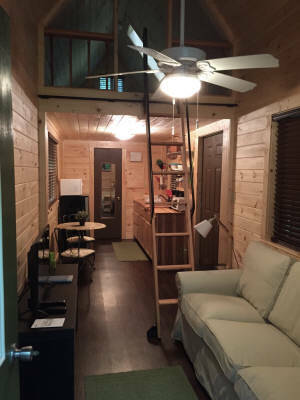 The perfect cabin for those who are on a budget or want something a step above camping. 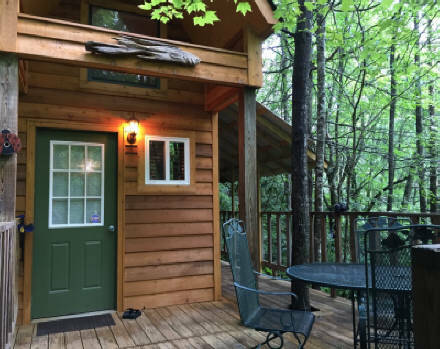 This delightful little cabin offers a bathroom with shower, microwave, electric fry pan, small refrigerator, toaster, toaster oven, TV with aVCR/DVD player and a charcoal grill on the deck. 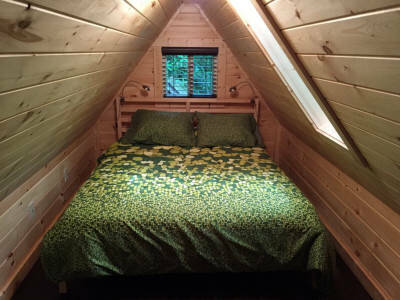 Sleeping accommodations in the loft with a queen bed. You must be able to climb a library ladder to the loft. 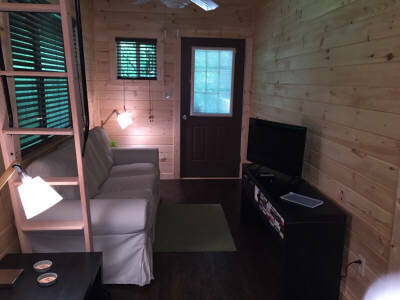 In order to keep the rental rate so low you must bring your own sheets, pillowcases and towels. "What a fantastic surprise! We're dancing to a CD by Sarah MacLachlan and we're more relaxed than we've been in 5 years!" 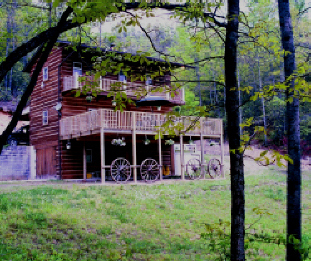 - Patti & Ted C.
There is a $25.00 cleaning fee which includes general cleaning of the cabin. You are responsible for washing your dishes and removing all your trash. 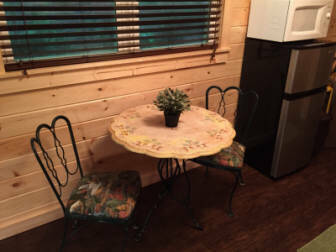 We require a $100.00 refundable deposit at time of reservation. 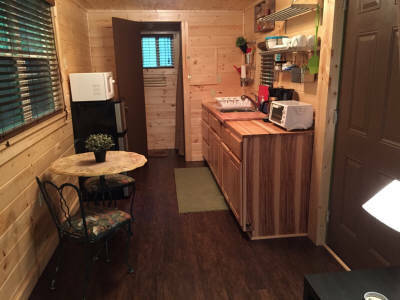 If you leave the dishes washed, and all trash has been removed and there is no physical damage to the cabin your deposit will be quickly refunded. Full payment plus any applicable taxes must be paid 30 days prior to your visit. All cancellations require 30 day notice for any refund and incur a $50 administrative fee to cover credit card company charges. If you make a reservation with less than 30 day notice and then cancel there is a $50.00 administrative fee. Rentors are completely responsible for their guests and families. Pets must NEVER be left alone in the cabin.